Google launched the Google Family Link application, which is a parent tool to monitor their children’s activities while surfing in cyberspace. Google brought this application to Indonesia equipped with several new features. 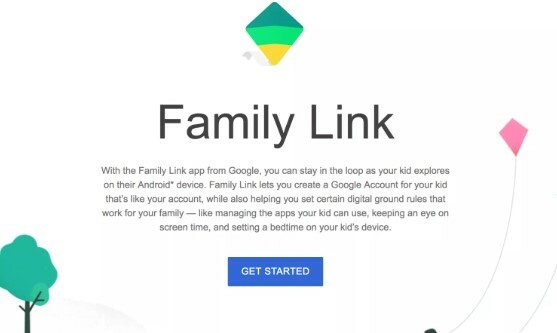 With the Google Family Link application, parents can limit the device’s usage time and lock the device when the break time arrives, as set by the parent. They also have control to approve and block any applications that can be downloaded from the Google Play Store. In addition, parents can also track where their child is located through a device that their children carry. Through this application, parents can evaluate how much time their children spend to access applications on Android. But after getting a lot of input from parents, Google added the age limit to teenagers. However, there is a difference in supervision from Family Link for teenagers. The Family Link application can be downloaded from the Google Play Store at the following link and also through the Apple App Store at this link. Family Link will be compatible on parent devices running on Android version 4.4 and above, as well as iPhone or iPad running with iOS 9 and above. Meanwhile, children’s devices that are compatible, at least have to walk with the Android 7.0 operating system and above, but do not rule out the possibility of Android devices version 5.0 and 6.0 to use Family Link. This application can also function on a Chromebook. For parents, to start the Google Family Link application, make sure you have a Google account. Then, enter your child’s birth date. If a child is under 13 years of age, parents will be asked to approve making an account. To process account verification for children, Google will request a parent credit card number. Although in its scope, Google claims it will not charge fees for access to Family Links. When finished, Family Link will automatically be downloaded to your child’s device. Next, parents can choose the applications and settings they want. After the settings are finished, parents can start watching their baby while playing with their gadget.